The next time you get ready to workout, think of it as an occasion. Not only will it motivate you to do your best, but it will inspire you to “dress for the occasion.” I genuinely look forward to putting on my bar method garb because I think of it as another opportunity to make a statement. 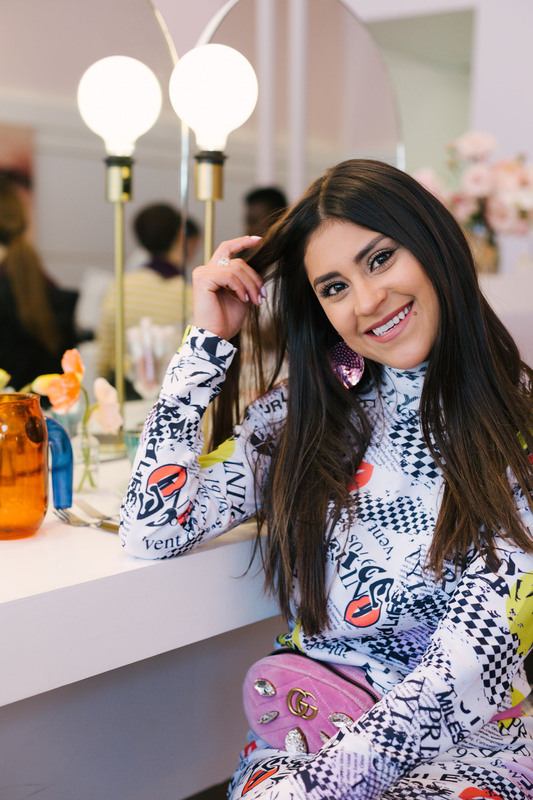 When a family friend took me to Rock & Rouge, in Sedona, I was truly in workout pants heaven, and I could not wait to share my latest fabulous find with all of you! When it comes to workout pants, I prefer the capri length. For hot-natured folks like myself, full length leggings can become uncomfortably warm. The JOJO Capris hit mid calf (keep in mind I am 5 feet tall), making them a great option for barre class, spin, and everything in between. Versatility in workout attire is key, as it is a superfluous purchase. 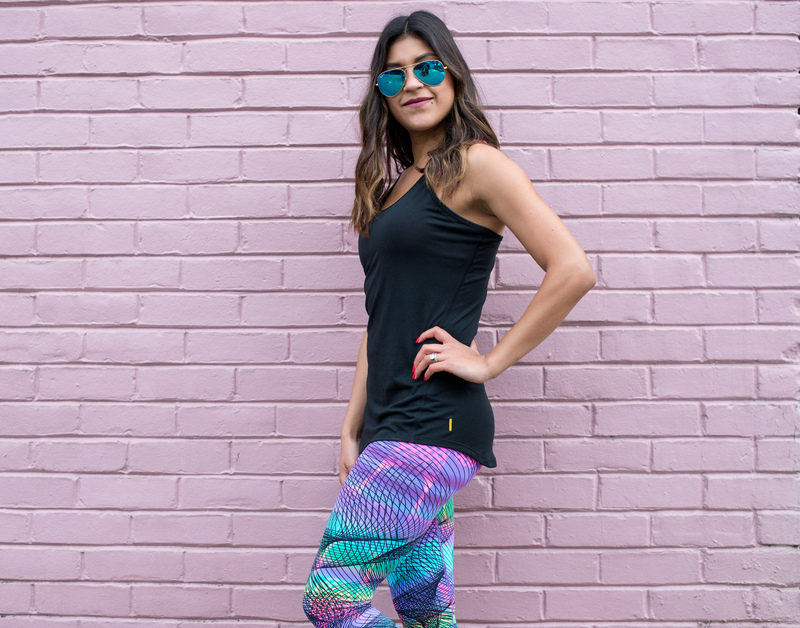 If you like your workout pants to fit you like second skin, you’re in luck with Dona Jo fit wear. Not too loose, or too tight, the quick-dry 5-way stretch fabric hugs your curves just right, while the mid rise waist keeps your goods in place. They are just as comfortable as they are attractive and the colorful designs speak for themselves. I paired these poppin’ pants with the softest black racerback from Lucy. The Workout Racerback is a beloved basic and features a shirt tail hem for added back coverage. I polished off the look with my favorite Nike walking sneakers, aviator sunglasses, and Klean Kanteen water bottle. 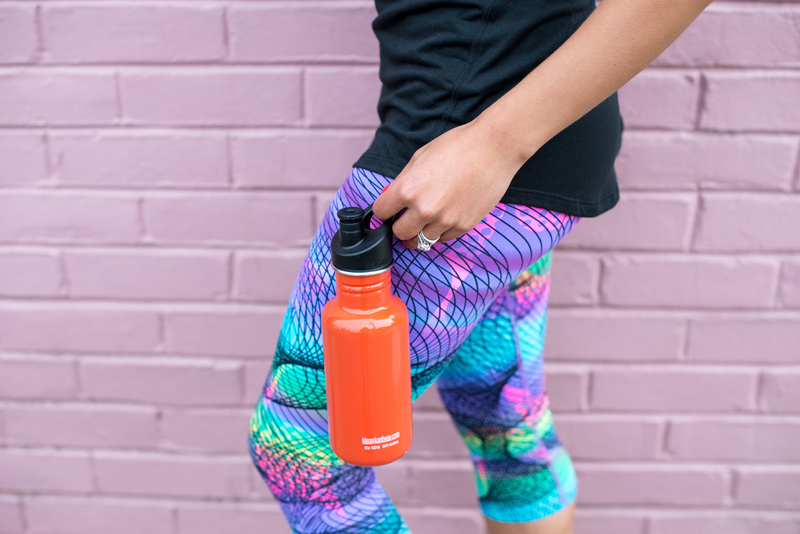 Is Dona Jo activewear in your future?! March 4, 2016	by Kelsey K.
Hot Body Babe!! 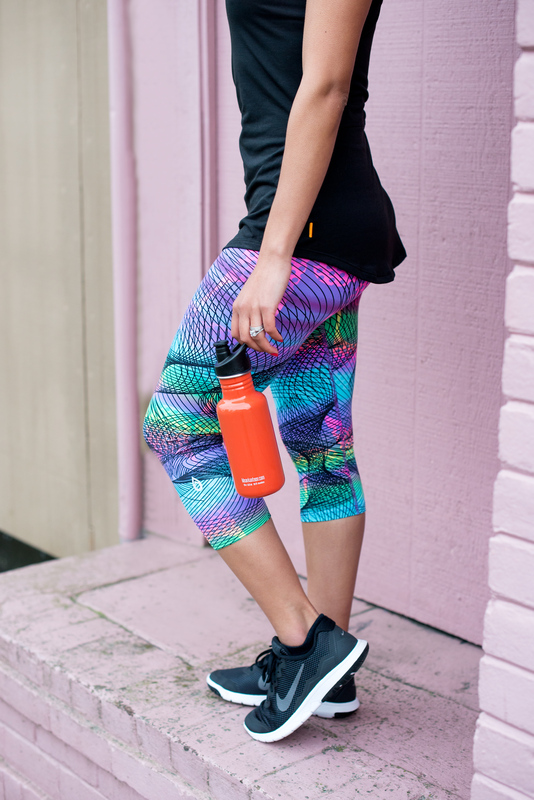 Love those colorful, fun workout pants! Thanks Shell! I discovered them last weekend on my trip to Sedona and could not wait to share with you guys. Have a great weekend.